Rebel Legion :: View topic - Hello! Please introduce yourself here! Hello! Please introduce yourself here! Posted: Sat Oct 28, 2017 2:06 am Post subject: Welcome! Welcome Ness, Liz and Thomas! Posted: Tue Dec 12, 2017 2:14 am Post subject: Greeting sfrom Bunbury! I guess with my name, I am Jed Bowman (yes I know my username is incredibly creative when compared to my real name) and I am currently residing in the south west of W.A. The Bunbury region to be exact, I have always been very interested in both the Rebel Legion and the 501st. I have only in the last 3 weeks joined both groups ad I am currently in the midst of deciding what costume I would like to create. My short list at the moment is Poe, Kylo Ren and Captain Rex. I have managed to source a shop that creates Clone trooper kits, that being Imperial Surplus, his stuff looks fantastic. the only thing I am having trouble tracking down is an affordable flight suit for the resistance pilot. I am pretty lucky being able to have access to a decent 3d printer, so any odds and ends that I may need I can easily get. I have a million questions that I can safely say have probably been answered on these forums but daaaaaaam there is a lot of information on here! Posted: Mon Dec 18, 2017 7:23 am Post subject: HEY !! I'm Mark. A lot of you know me already A lot of you don't. I'm putting the finishing touches to my Chewbacca costume and I'm going to get my Episode 1 Tusken Raider RL approved as soon as I can. Anyhow, I've officially introduced myself. I'm Declan, some of you met me at Astrofest, some of you didn't. For those of you who did, thank you for making me feel welcome, no surprise but you guys out did the DSG in that regard. I'll be putting together a ground crewman in the near future, and intend to bring it with me on future visits to Perth. If I may troop with your awesome base? Hi! I'm Jaseroque, real name Shasta. 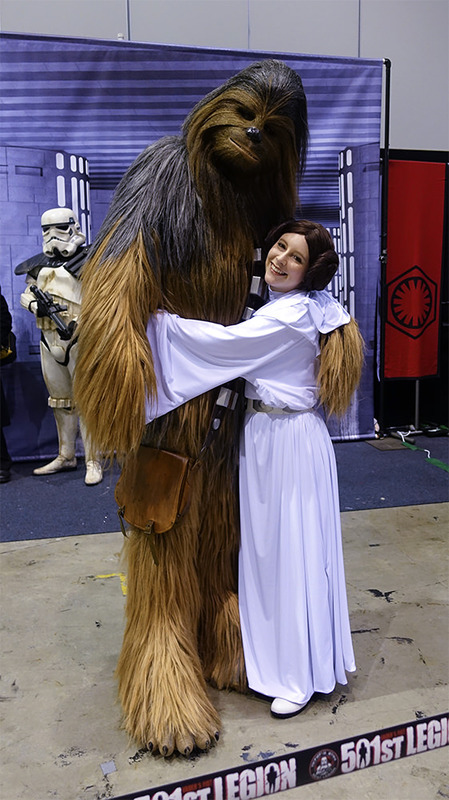 I met some of you at Supanova this year in my Leia costume, and I'm hoping to join the Rebel Legion with it soon! Looking forward to meeting more of you and spending time with the Wraith Base. Hi! It's me, Gabi aka that Merida from Perth's Allied Costumers. I've finally made the plunge to join Rebel Legion and I'm very excited.